With due civility and veneration, I salute the courage, the doggedness, especially the perseverance and maturity Great Ife students displayed throughout the period in which the university community was devoid of supply of power and water supply became a race up and down the hills. Following actions and reactions that trailed the period, it is considered exigent that a detailed report be given for the sake of proper information. Hi great minds! I am sure some students' hope is not yet gone but so many aspirants' hope may have been dashed in a way since all the cut-off marks for 2014/2015 admissions are out. We are still expecting the lists though but it better we start planning for 2015/2016 UTME and processes in order to ease things. 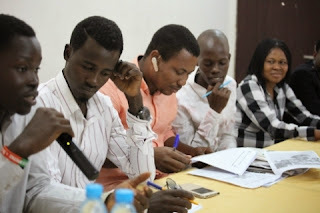 The issue of right subject combination for UTME registration will be our top concern for now because we could see many got that wrong this year and it might cause some their choice course. So share this posts with friends on Facebook, Twitter, Whatsapp and other social media to get more oeople in. Goodluck friends as we discuss. Thursday evening at Awolowo Hall in Oba Awon University could be described as one of the most action packed night in this semester as Bamidele was on the verge of been paraded and served ‘maximum shishi’ by Awoite for allegedly slapping a student. Registration for 2015/2016 Unified Tertiary and matriculation Examination has officially began. 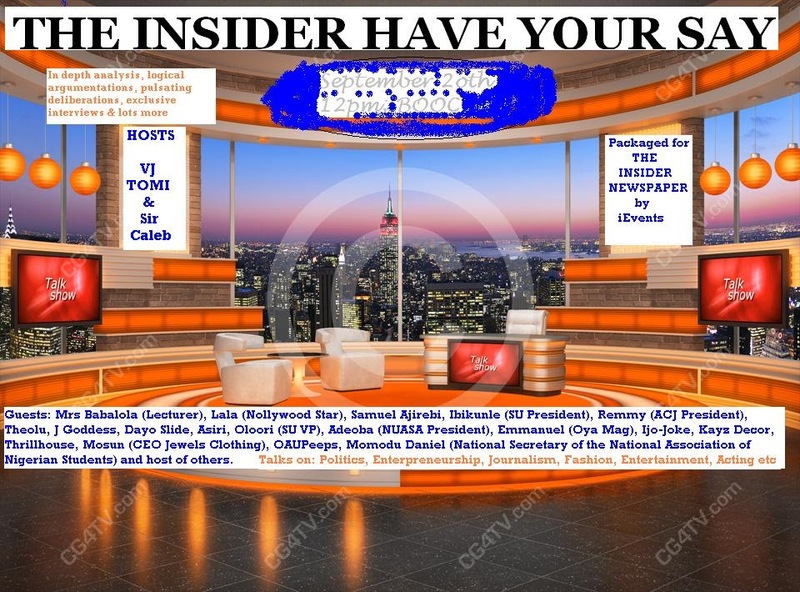 The Insider, owner of The Insider Newspaper, iEvents, iResource, foxmedia, fox entertainment is organizing a Talk Show scheduled to hold September 20, 2014 at BOOC. The event is billed to commence 10am. Notable personalities expected at the Talk Show include Mrs Babalola (Lecturer, Department of Continuing Education), Ibikunle Isaac Motunrayo (OAU SU President), Emmanuel (CEO OYAMAG), David (CEO OAU Peeps News Agency), Adeoba (NUASA President), Ashiri (Comedian), Lala (Nollywood star), Ojekunle Alex (President, ACJ), CEO Thrillhouse, Sam Adegbola (NANS Information Director/Organizer OSCAR Awards), J Goddess, Ijo_Joke, CEO Jewels Clothing Line, Yemi (Author) amongst other personalities. Artistes billed to perform are Allen, Adeola, Dayoslides, Timmy Omo mummy and other surprise artistes. Again, the Centre For Distance Learning arm of the Obafemi Awolowo University who is in charge of the Predegree Programme has announced the extension of the duration for the 2014/2015 Predegree application. The application will now close on 3rd October, 2014. 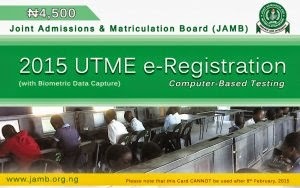 Please understand that after this period, there may be no further extension as the entrance exam is likely to come up September.The application fees remain N15,000 and it is mandatory for all candidates to keep checking the website from time to time to know the Entrance Examination Date and also to print the Exam Slip. FROM THE LEADERSHIP OF THE UNION. THROUGH THE OFFICE OF THE WELFARE OFFICER. As at 3,50pm of Tuesday 16th of Sept., 2014. On the current power outage and shortage of water supply in OAU. Let me first of all commend Great Ife Students for their patience ever since this development. Since midnight today, we have been experiencing power outage on this campus which led to shortage of water supply as claimed by 'head of Dam'. The leadership of the union, through the president and the welfare officer, made due consultation to the power and water units of university. We later gathered that the power outage originated from Osogbo main distributing unit and work is on to ensure that this abnormal situation is corrected as soon as possible and its possibility, as Claimed by Head of Electricity, will be today,tuesday 16th. 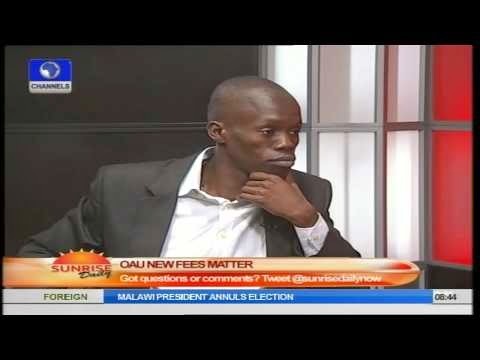 Application Form For OAU 2014/2015 JUPEB Programme Is Out! Admission into the JUPEB Programme 2014/2015 Session Applications are hereby invited from suitably qualified candidates for admission into Joint Universities Preliminary Examinations Board (JUPEB) programme for 2014/2015 Session. Eligibility Eligible Candidates must possess minimum of 5 Credits at maximum of two sittings in at least 5 subjects (inclusive of English Language) relevant to the candidates desired course of study in the University. Duration The duration of the Programme is a minimum of one academic session of two Semesters.